Allegro's Business Growth Learning Lab: Is your business an orange among a lot of oranges? 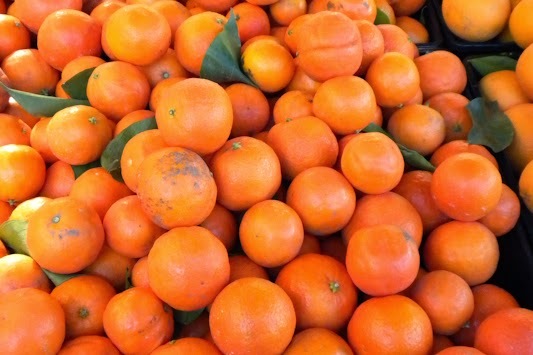 Is your business an orange among a lot of oranges? I gave a talk to business owners about the importance of having a targeted marketing and sales strategy (#5 on my 10 Essential Elements to Long-Term Growth). In that talk I showed why companies who thrive are laser focused in defining to whom they want to sell their products or services. This is especially true with start-ups or small companies where a limited marketing budget and a small sales force is the norm. The analogy I use most often to stress this point is the game of darts. How silly would it be to play darts without a dartboard? Yet I routinely see owners liberally handing out darts to their sales team with no dartboard in sight - all the while still expecting them to regularly hit a bullseye (customer). Bingo! That is exactly the question I wanted these business owners to ponder. I’m sorry to say that you won’t find the answer here in this blog. Why? Because the process to decide this requires an extensive internal company assessment and external market analysis. I can, however, give you one step in that process. Answer this question, "How are you different from competitors in your industry or sector?" Figuring out what’s different about your business will then lead to identifying companies who value that difference - and thus whom you should consider targeting. Unfortunately, most of us are in “commodity” businesses. In other words, within our industry sector we are simply an orange sitting on a stack of oranges. Unless you've intentionally done something to separate yourself, this is likely true whether you are a marketing firm, lawyer, dentist, any broker, web designer, staffing company, accounting firm, bank, dry cleaners, insurance company, real estate agent, etc ... Are you getting the picture? Even a company like Boeing is an orange. The difference for them is the stack of competing oranges is rather small (only four commercial aircraft builders in the world). If we could all be so lucky to compete against just four rivals. The challenge for every business owner is to decide (1) do I simply compete as an orange - knowing I will have to out-market (advertise, SEO, etc...) all the other oranges in my sector and accept that price will drive most decisions or (2) narrow the competing field by specializing - become unique - a blood orange, naval orange, or clementine for example. There is no right or wrong answer here. The downfall comes by being unaware, in denial, or worse yet, think you have something unique when in fact you don't. Here is a quick example. Cordell and Cordell is a law firm. I think we all know how many law firms there are in this world (that stack of oranges is a mile high). Recognizing this, Cordell and Cordell chose to specialize - they became a domestic litigation firm further specializing in men’s divorce - a blood orange (no pun). In doing so, they reduced the size of the competition significantly. And by fully embracing this strategy they know clearly who they want to serve (target) as a customer. They have even gone so far as to own and manage the content of mensdivorce.com and mensrights.com. Brilliant! I have a friend who once defined his firm as a marketing company. He eventually recognized he was in a very crowded market (lots of oranges (marketing firms) here in Atlanta). Every engagement became a competitive race to the bottom in price. He decided to change course, to specialize in just one aspect of the marketing spectrum - marketing communications, even further specializing in presentations. He created a brand called Presentation Tune-ups and is now much clearer about who specifically he is targeting for his specialized service. And much like the lawyer example above his relationships, first built around presentations, eventually encompasses other marketing related services. So ask yourself, are you an orange competing against other oranges? If so, how will your customer choose your orange from the rest on the stack? What does your dartboard look like? Or, have you made yourself a unique enough orange to warrant being placed in a different bin, with the ability to command a higher price, and a much clearer understanding of the bullseye your marketing and sales force are aiming at. Tired of being an orange among all the other oranges? Let's talk over a cup of coffee how we can define a way to make your metro Atlanta business unique. Contact me here.